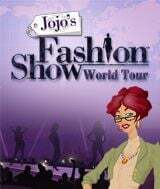 Download Jojo's Fashion Show World Tour for free at FreeRide Games! Jojo is back with her smash hit fashion series and this time with an exciting World Tour! After coming back from retirement at the request of her daughter Rosalind and together reviving her career as a world famous fashion designer, it's now time for Rosalind to pursue her own dreams, leaving Jojo to find a suitable replacement for an assistant, which proves to be quite the challenge! Jojo's Fashion Show World Tour is a great spin on the box standard Time Management games and will appeal to all you designers at heart! With cool visuals, exciting atmosphere and funky music that includes applause from the crowd, you join Jojo in 10 different locations including, Tokyo, Barcelona and Amsterdam to show her latest collections. At each location you have 10 different runway shows where your job is to mix and match outfits to meet the demands of the various styles like, Sultry Flamenco and Gothic Loli. Design your own clothing to flaunt on the runway. Go on a 10 city tour of the hottest fashion destinations. Master 50+ styles in 100 levels of play. 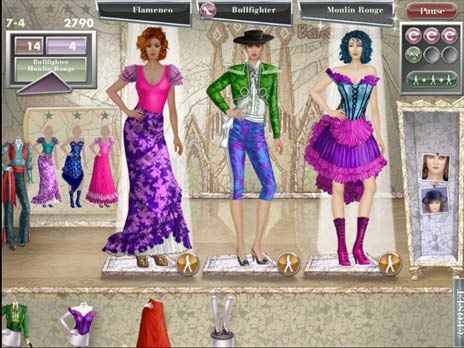 Improve your real-life fashion IQ with style descriptions and tip.